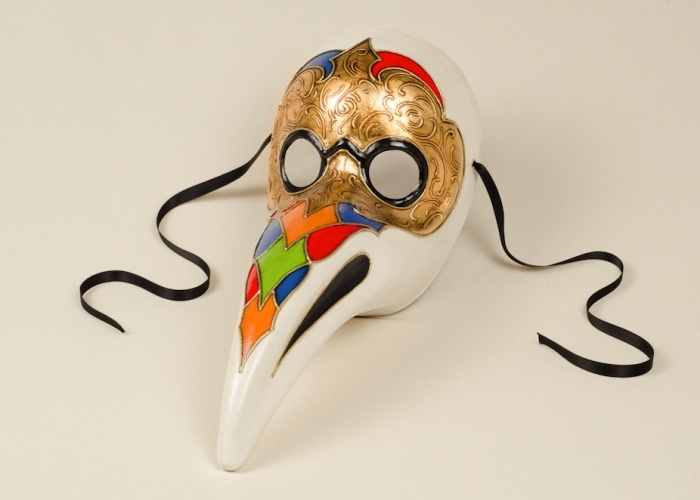 This carnival version of the plague doctor mask is decorated using a combination of techniques. This cartapesta mask is painted with contrasting colors in acrylic, embellished with interweaving curved lines in relief, on which metallic gold leaf is applied. A great choice if you are looking for hanging Venetian masks or masks for carnival costumes.